Channel letter signs are one of the most popular and effective forms of sign identification for business and retail. These individually formed letters can be utilized for both interior and exterior purposes. We can design and fabricate a full range of channel letters offering our clients the ability to have a wide range of options to assure that their identity/image is presented to the public…..this includes logos, graphic images and different type fonts. Our channel letters can be illuminated using either neon or LED lighting [the more energy efficient and lower maintenance option] and may have the standard illuminated faces or “reverse channel”, which provides a backlit/halo effect. Channel letters can be installed individually or may be mounted to a “raceway” which requires fewer penetrations to the building face and allows for the easier relocation of signage in the event that this is required by the business. 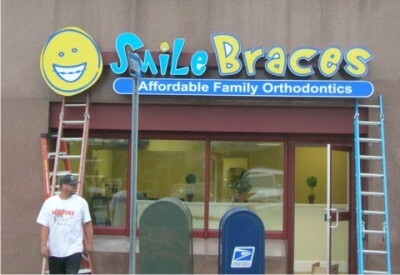 We can also fabricate non-illuminated channel letters if this signage best accomplishes a clients needs.